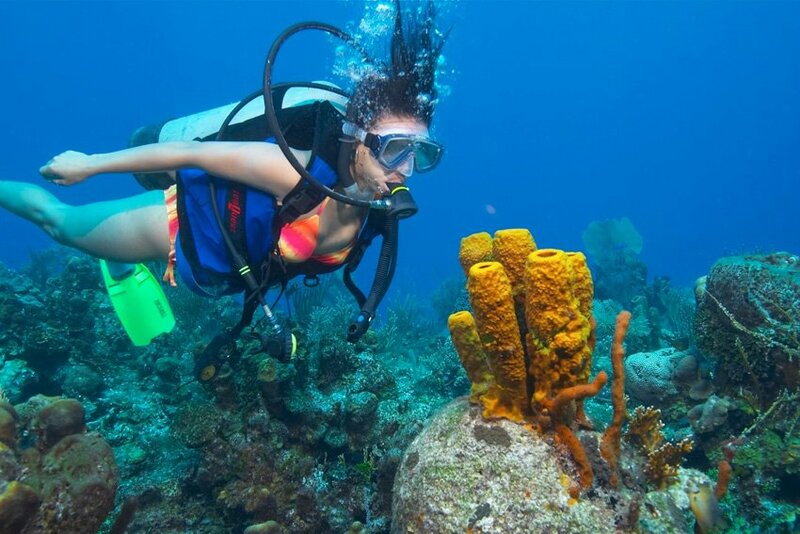 Enjoy 7 days of accommodation, 4 days of 2 tank local diving, a Blue Hole Day Trip (3 dives total) and a Night Dive for only $1250 US per person. That’s 12 total dives, plus your accommodation for less that you would normally spend on the diving itself. Please note that the $40USD park fee per person to the Great Blue Hole is not included. Don’t forget this price is per person, based on double occupancy.